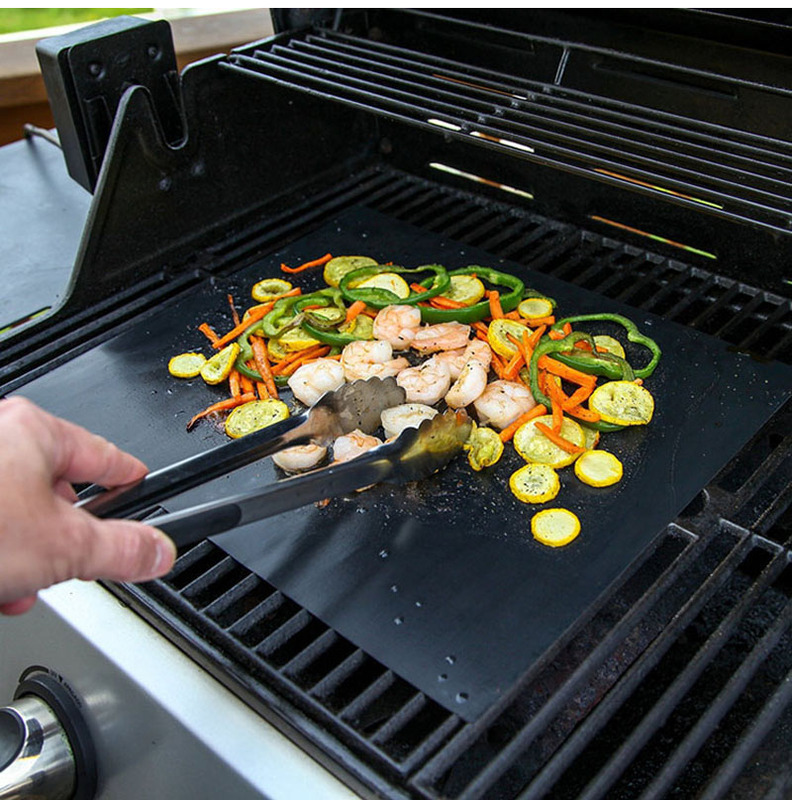 100% Non-Stick,you can grill without grease and mats are reusable for years! 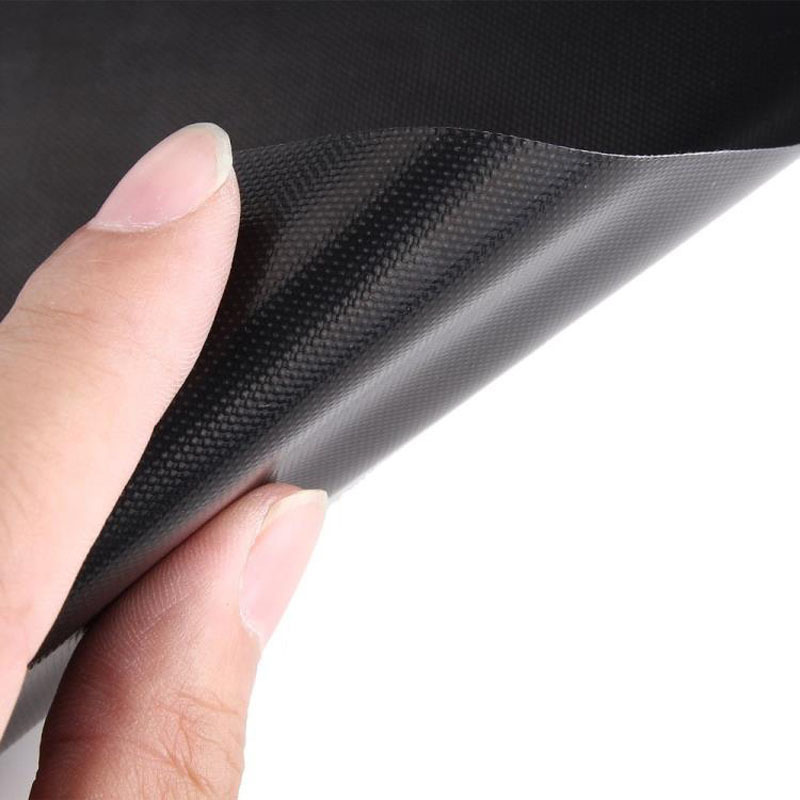 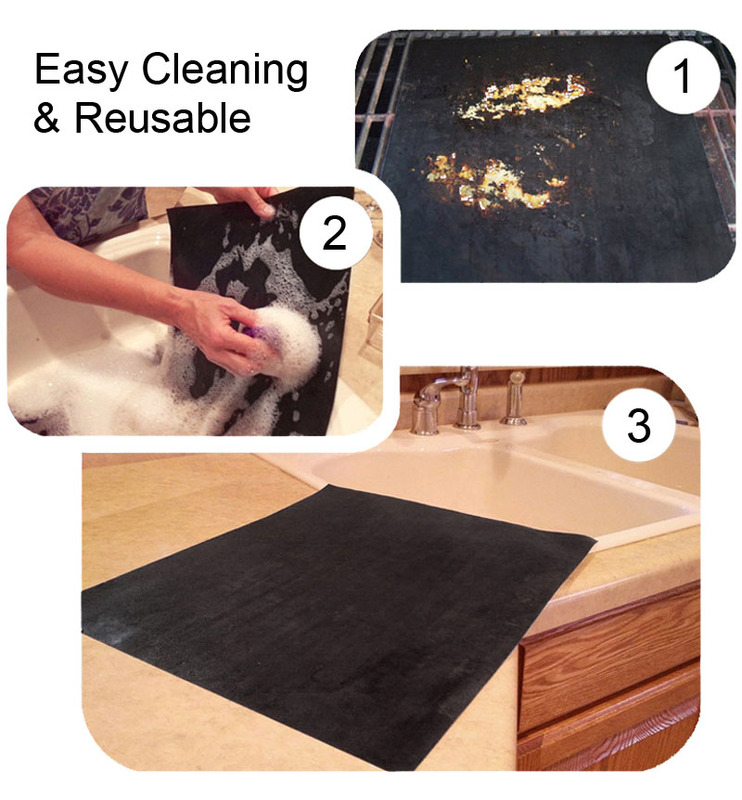 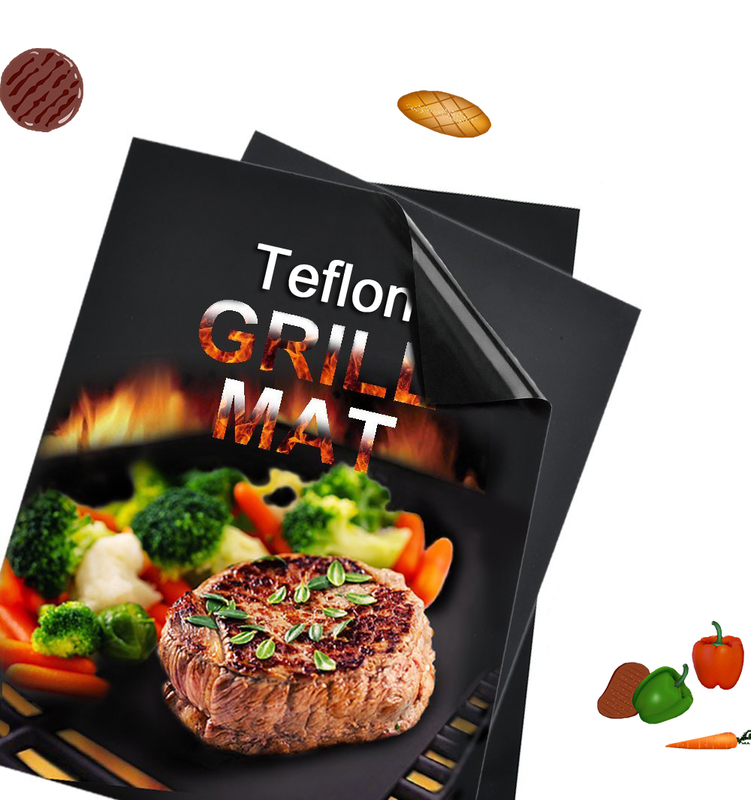 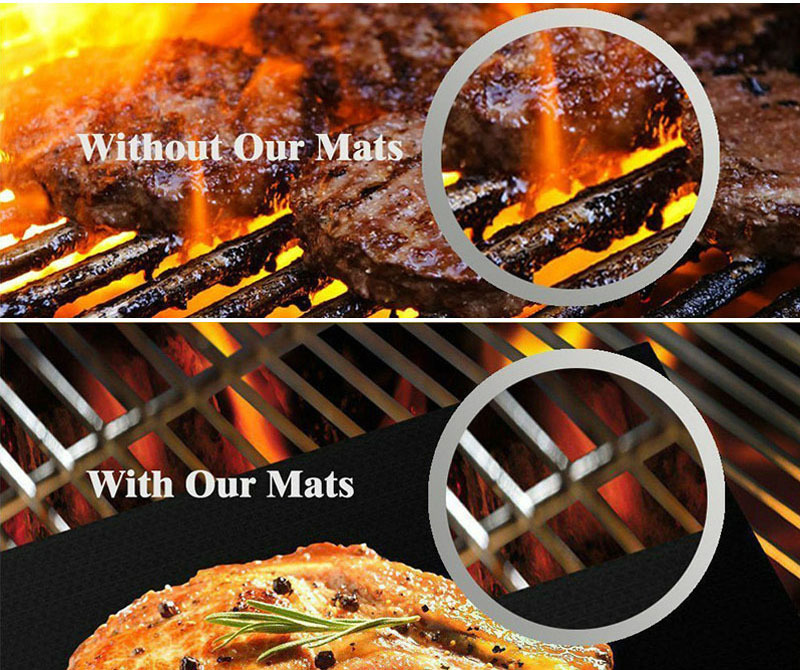 Non-stick BBQ grill mat prevent even the smallest morsels from falling through the grates. 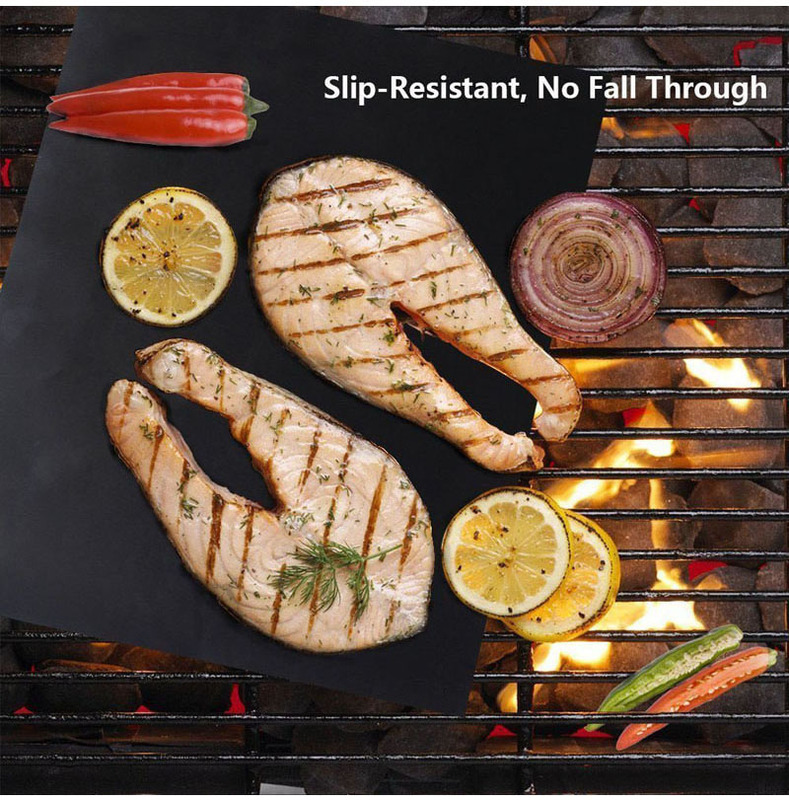 Perfect for any grill, including as Char-Broil, Weber, Porcelain, Charcoal and even Infrared Grills. 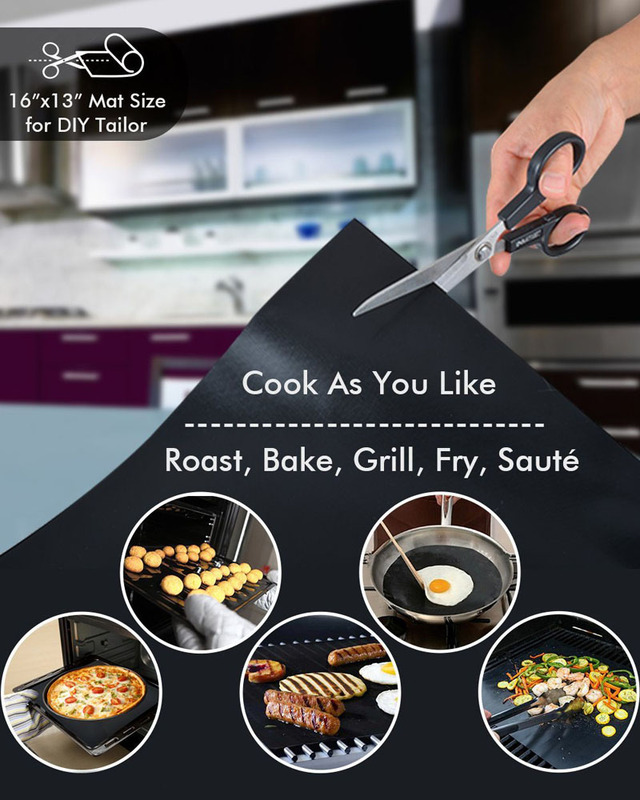 They can also be cut to fit your particular grill or oven perfectly. 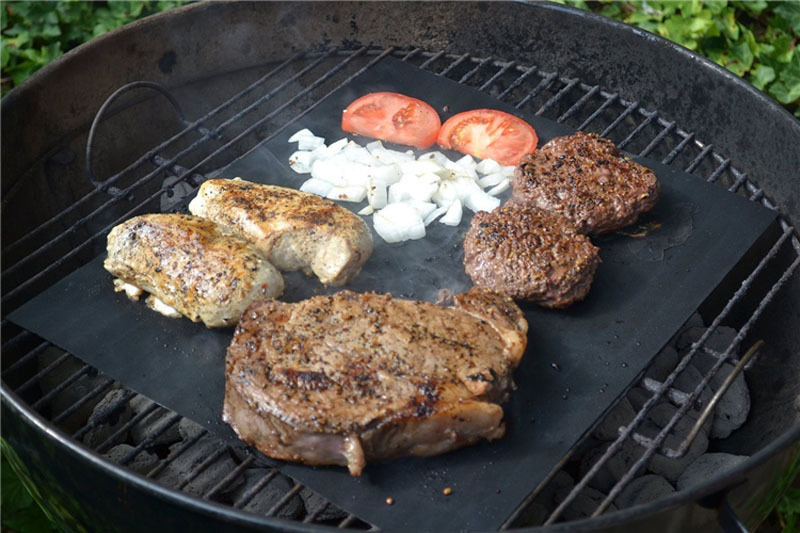 Grill meat, vegetables, fish, shrimp, pizza, even pancakes, bacon and eggs!! 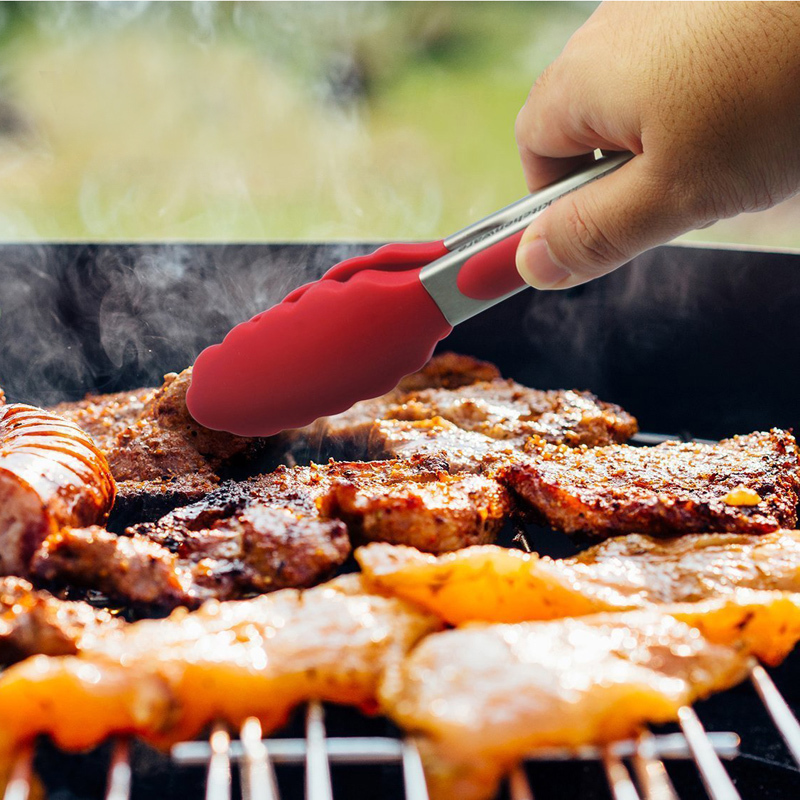 Perfect for those nasty campground or park grills! 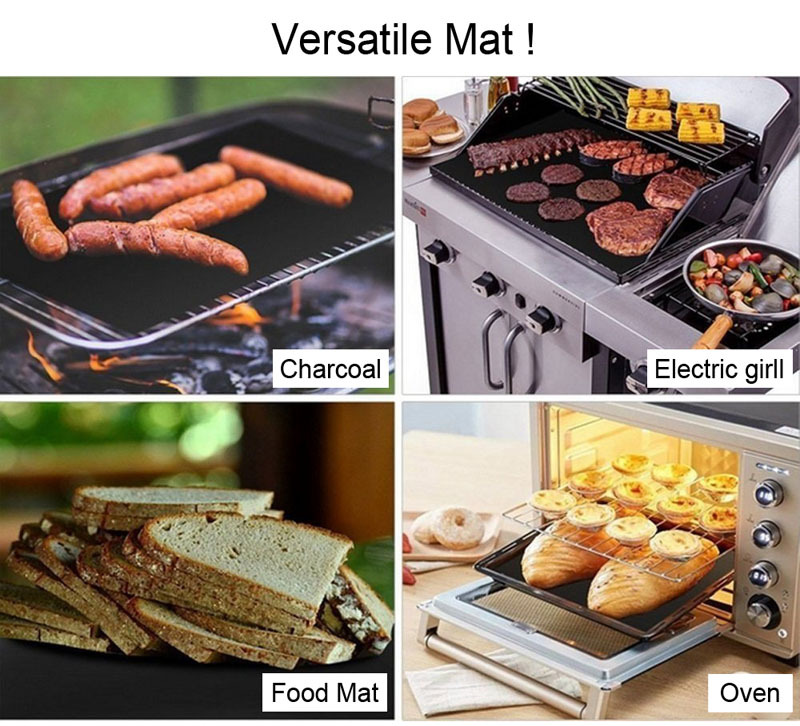 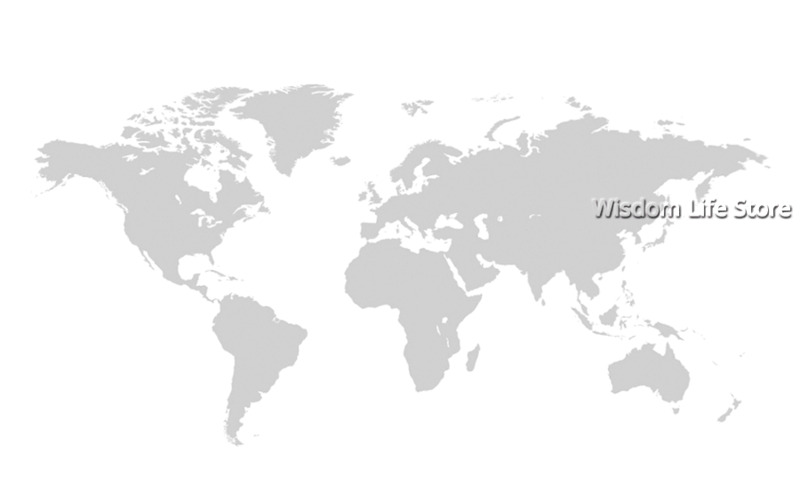 Note: Pls notice the quantity of items ,we will send as you choosed ,tks . 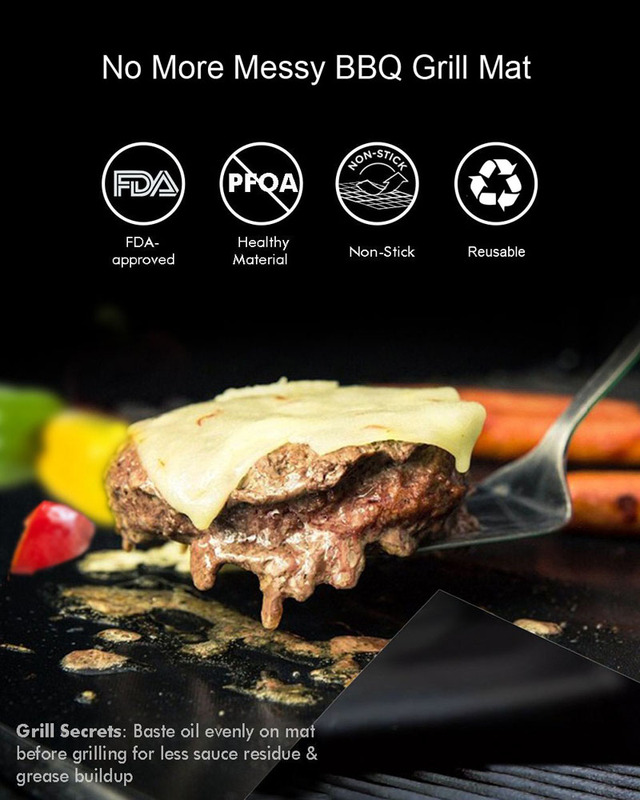 produto de qualidade, entrega rápida.